Anyone who has any affinity for this marvelous city will appreciate this fascinating account of how a tiny little village in the 1300's grew into a great power of the golden age, and some of the ideas and values that first appeared there have carried forward to affect many aspects of the governments and economies of today. The writing flows so naturally and the historical tidbits are so interesting that it is a surprisingly fast read! 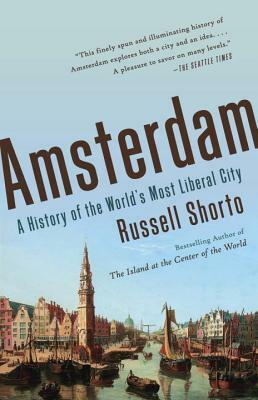 Russell Shorto is the author of five books and is a contributing writer at the The New York Times Magazine. His books have been published in fourteen languages and have won numerous awards. From 2008 to 2013, he was the director of the John Adams Institute in Amsterdam.